Complete remote control, 30μs exposure time, 4 MP camera, 2X zoom. The PhaseCam® Twyman-Green laser interferometer can be completely controlled remotely, with remote-operated zoom, focus, beam ratio adjustment, aperture block and reference beam block. Optional extended cables provide easy operation in measurement towers, environment chambers, etc. 4 megapixel camera with 2X zoom, or 1 megapixel with 3X zoom. 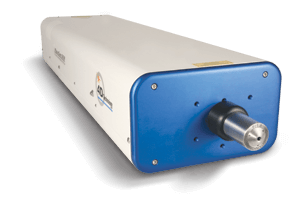 The PhaseCam 5030 is an ideal laser interferometer for testing large concave mirrors, complex optical systems, and moving or vibrating parts in almost any kind of environment. Numerous accessories are available. Numerous Twyman-Green laser interferometer accessories and options are available including diverging lenses and beam expanders.